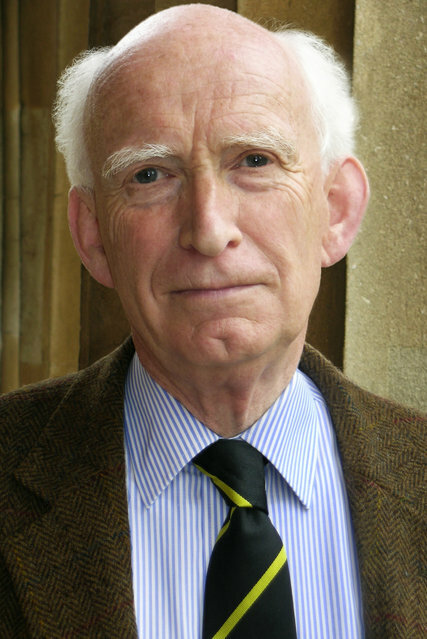 Donald Lynden-Bell, a British theoretical astrophysicist who pioneered research into cosmic quirks like quasars and black holes and contradicted the prevailing premise that the universe is expanding evenly, died on Feb. 6. He was 82. His death was announced by the University of Cambridge, where he was a professor from 1972 until he formally retired in 2001. Dr. Lynden-Bell, an expert in applying mathematical formulas to physics, was a past president of the Royal Astronomical Society and the first director of the Institute of Astronomy at Cambridge. He shared the 2008 Kavli Prize for Astrophysics with Maarten Schmidt, a Dutch astronomer who first identified bright and powerful quasi-stellar radio sources, or quasars. Dr. Lynden-Bell, who explained their motion and energy source, shared $3 million in prizes with Dr. Schmidt and five other scientists. Dr. Lynden-Bell broke new ground in elaborating on the theory that at the core of galaxies are gigantic black holes — powerful gravitational fields with a mass equal to millions of suns that keep matter or radiation from escaping. Those black holes, he said, provide energy to the potent starlike quasars. Working with Martin Rees of Cambridge and others, in 1969 he attributed the brightness of quasars to superheated gases that had been agitated by galactic collisions and then drawn by centrifugal force into discs, like Saturn’s rings, which spin around the black holes. Friction between the gas streams, he argued, created the detectable glow of heat and light. In 1986, he was the senior member of a group of astronomers — known as the Seven Samurai — who stunned fellow physicists by suggesting that this galaxy and hundreds of thousands of others are streaming across space at two million miles an hour, drawn by the gravitational force of a gigantic anomalous mass they called the Great Attractor. All previous explanations of how the universe formed had envisioned only minor variations in its growth, not the possibility that a vast swath of space 500 million light-years in diameter was being drawn sideways and expanding lopsidedly. In 1962, after analyzing the motion of old stars, Dr. Lynden-Bell and Olin Eggen of the California Institute of Technology concluded that the Milky Way — and with it the solar system that includes Earth — formed 10 billion years ago from the collapse of a primordial gas cloud. Dr. Lynden-Bell was born on April 5, 1935, in Dover, England, to the former Monica Thring and Lt. Col. Lachlan Lynden-Bell, a World War I veteran and career soldier. In 1961, he married Ruth Truscott, a chemist and a professor, who collaborated on some of his research. His survivors include his wife and two children, Marion and Edward. He attended Marlborough College, a boarding school in Wiltshire, before graduating from Clare College, Cambridge, where he studied math and physics. Inspired to become an astronomer by the works of Arthur Eddington (1882-1944), an English physicist and philosopher, he remained at Cambridge to earn a doctorate in stellar and galactic dynamics. After graduation, he became a research fellow at Clare College, won a Harkness Fellowship to Caltech, and studied at the Mount Wilson and Palomar Observatories in California. In 1972, he was chosen to direct the new Institute of Astronomy at Cambridge University, formed by the merger of the Institute of Theoretical Astrophysics and Cambridge Observatory. Dr. Lynden-Bell and three fellow physicists appeared in the documentary “Star Men” (2015), in which they retraced a road trip they had taken in the American Southwest 50 years before. He continued to conduct research even after his formal retirement and until shortly before his death.